The wonderful thing about making cards is there is always a reason to make one! 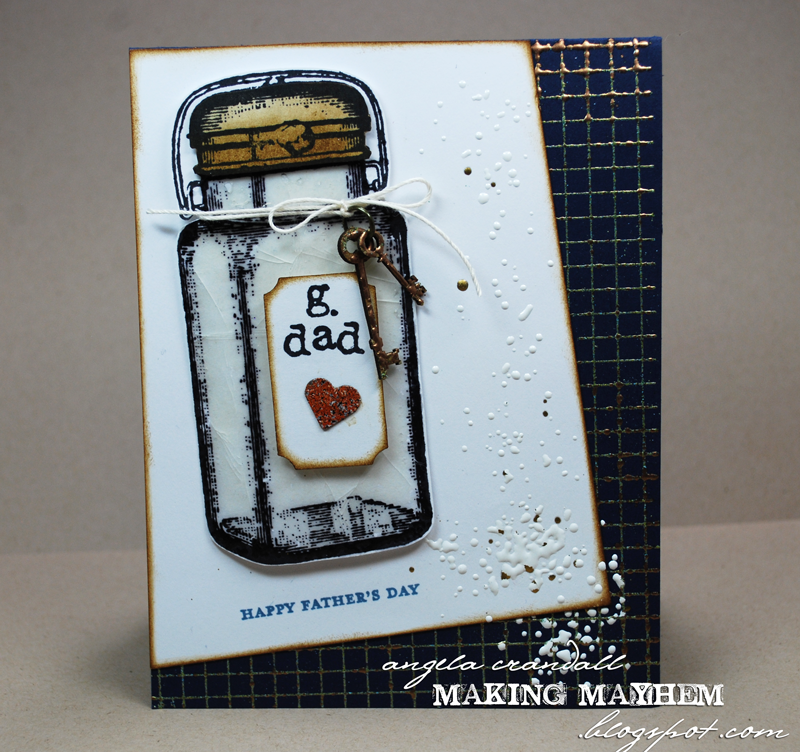 There are only five weeks until Father's Day and I have a card to share with you that uses embossing enamels, Piccolos and some fun stamps! 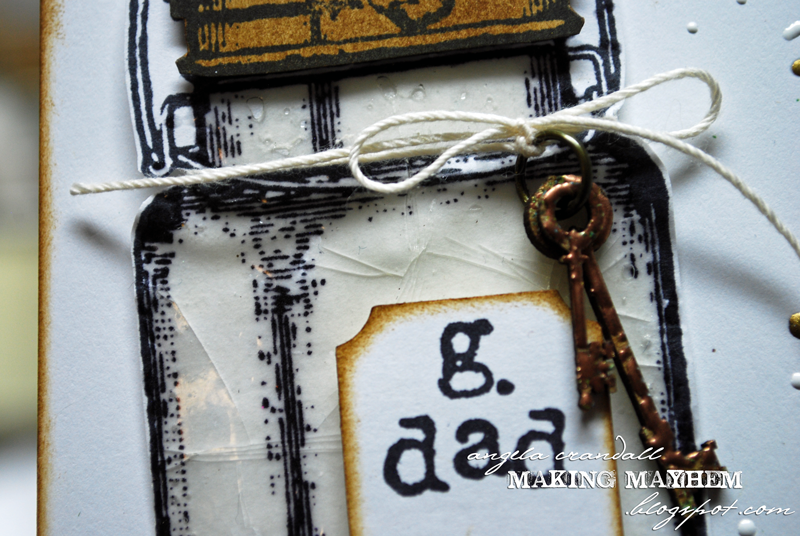 Use the Enamel Powder Adhesive to ink up any of the stamps before using the embossing enamel. I used Vintage Copper on the background. Do you see the green 'patina' in the Vintage Copper? I use an old towel to wipe the cardstock after the Vintage Copper to get any extra powder or mica off. 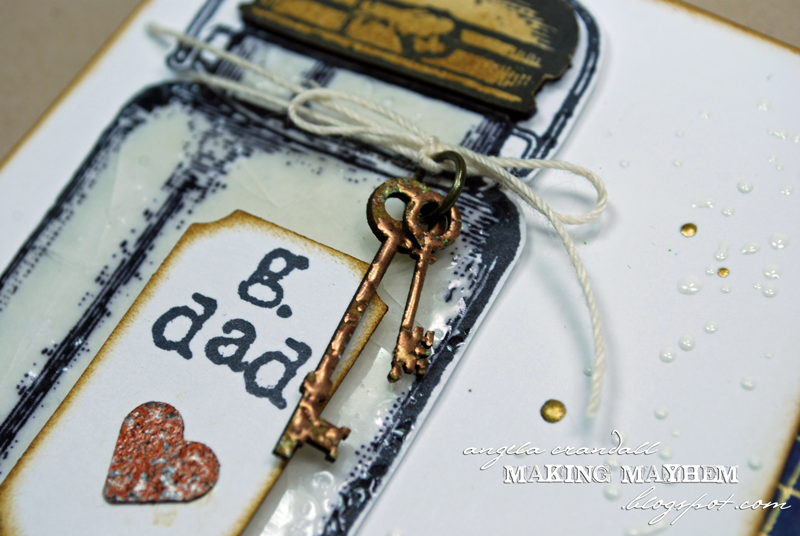 I wanted this card to have a bit of an old homey feel, so I used Real Rust on the heart. Distressed the edges of the heart, the jar label and the white panel using Vintage Photo Distress Ink. The keys are embossed with the Vintage Copper, too. I only used one layer and dabbed a little Vintage Photo Distress Ink into the unembossed areas. The cracking was a happy accident! I coated the cardstock stamped image using the Ultra Thick Clear and while I was working on something else, the fussy cut piece fell onto the floor. When I picked it up, I accidentally folded the corner and it cracked! I liked the look, so I bent the cardstock gently and 'broke' the embossed glass jar. Easy, peasy! I hope that you have found a little inspiration of your own. Would love to see what you do - share with us on Facebook! 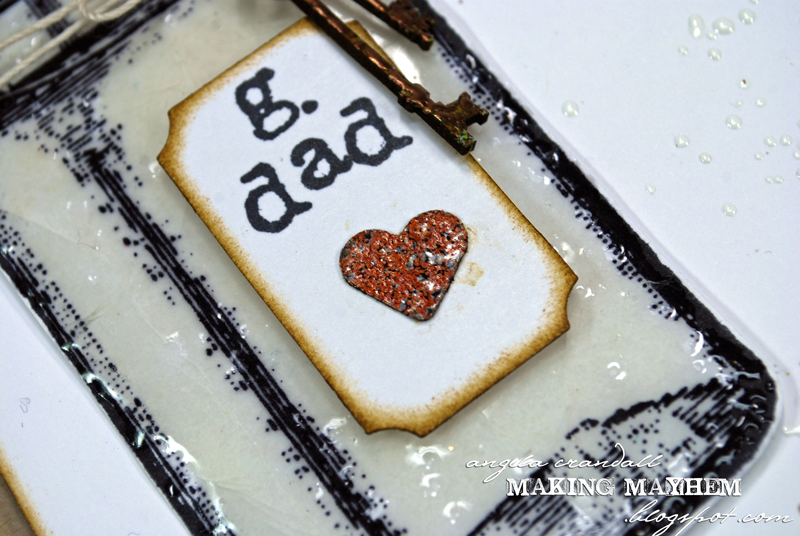 Wonderful Father's Day card, love the cracked glass.